Elegant, enchanted, whimsy and rustic all in one. 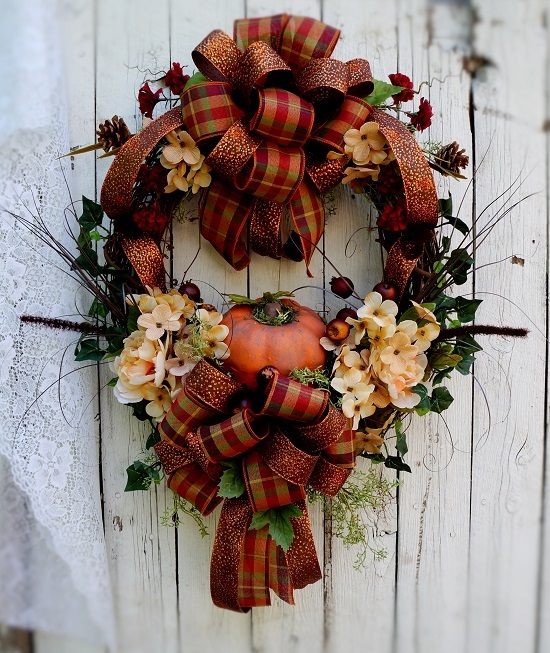 This fall wreath is full of charm. 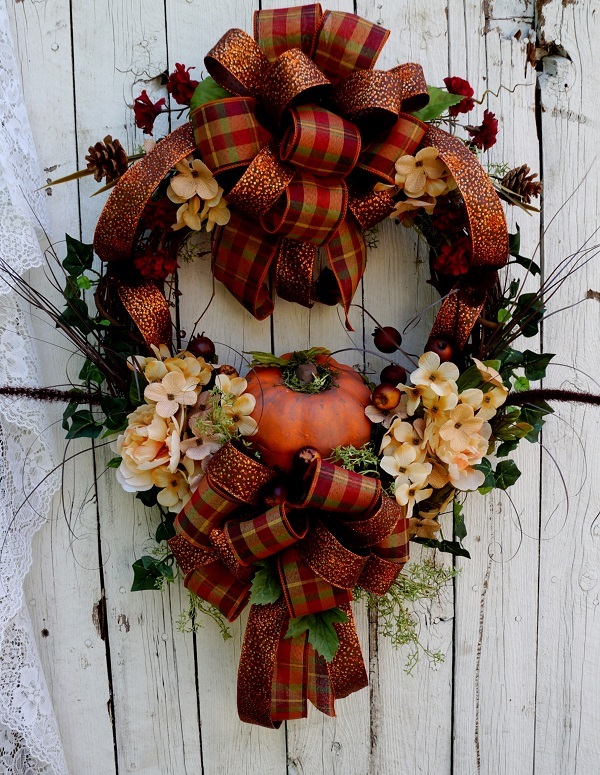 it is full of florals, greenery, two beautiful bows and a pumpkin. 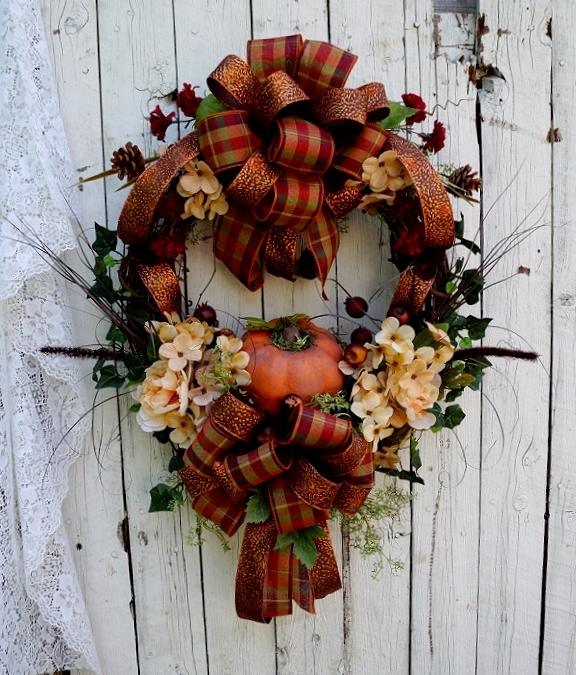 It's made on a 18 inch grapevine and is appx. 25 inches wide and 30 inches tall.